This feels kind of wrong. 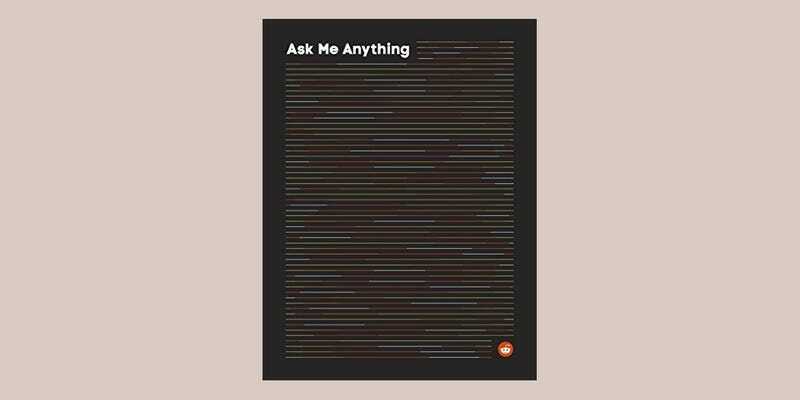 Reddit has assembled a series of its best AMAs from the website into a real physical book, and it will gladly take $35 of your hard-earned dollars for a copy. The book, available on Amazon, is a weighty tome, clocking in at 400 pages and containing the mutterings of, among others, Louis C.K., Chris Rock, Martha Stewart, Bill Gates and Buzz Aldrin. All the content is pulled from r/IAmA, with illustrations by u/youngluck and introductions written by r/IAmA Mods. It is a full-on Reddit-fest. It’s also only Volume 1, so it suggests you can expect more in the future. The hardcover book costs $35 or a Kindle version $5. But, but... you can just read it all for free on Reddit, which is its natural home.